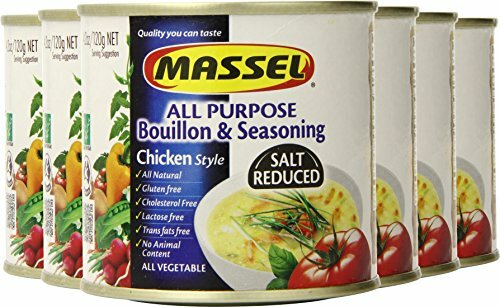 Delicous seasoning or soup base; 80 serves per canister All natural ingredients; no additives nor preservatives Vegan, gluten free and GMO free Reduced sodium A great seasoning for vegetables or add to pasta sause Contains 6 x 4.2 ounce cans of Massel All Purpose Bouillon & Seasoning. One can makes 20 pints of stock, so it's great value for money. Massel's delicious bouillon and seasoning granules are made with premium, all natural ingredients. We use quality vegetables, herbs, extra virgin olive oil and pure sea salt. 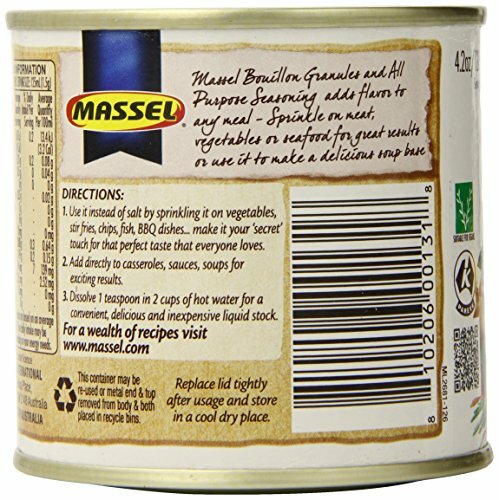 Massel bouillon & seasoning granules are gluten-free and suitable for people with Celiac disease. 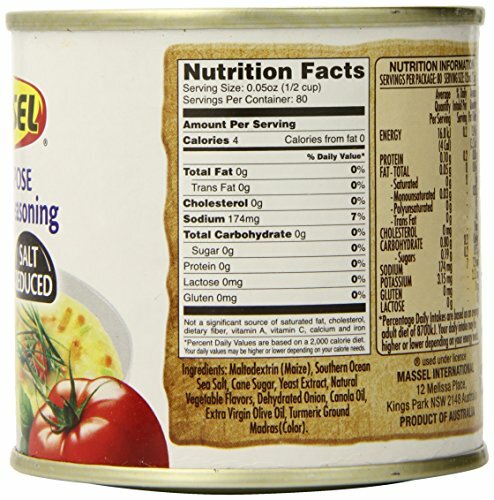 We use all natural, vegan, GMO-free ingredients, no added MSG and are Kosher certified. 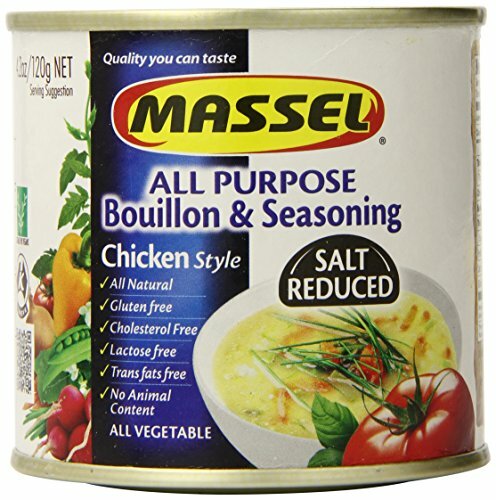 Massel gluten-free bouillon & seasoning is not just for soups, stocks and broths. Make it your secret flavor boosting ingredient for great tasting stews and sauces. Use as a flavor boost for polenta, quinoa or couscous, risotto and paella. 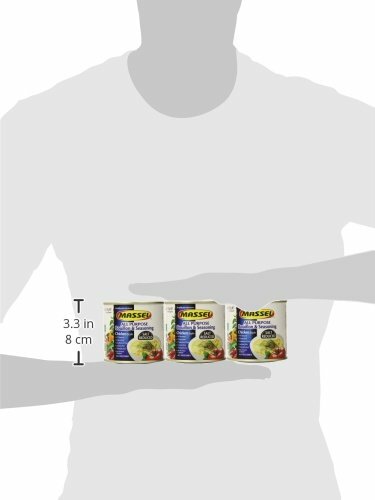 Add to your vegetables for extra savory flavor, or use as a marinade for meats. 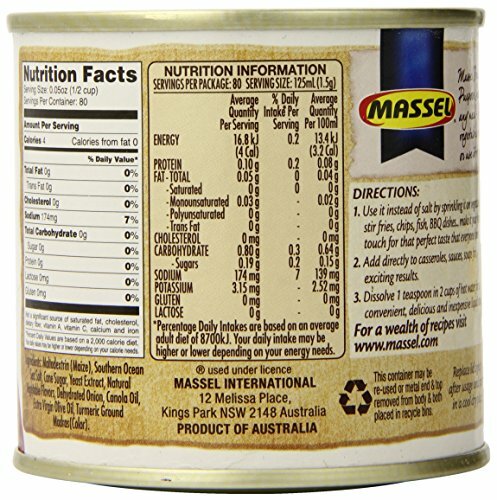 Massel gluten-free bouillon & seasoning is made in Australia, and is Australia's favourite instant bouillon, first for quality, health and flavor.